The event in Johannesburg is for the BRICS emerging economies. The BRICS annual summit is also being attended by Turkish President Recep Tayyip Erdogan, who received a special invite from the group. The BRICS group which is inviting Turkey to its annual summit this week provides a significant opportunity for all member countries to develop better economic and political ties with Ankara, said the representative in South Africa of Turkey’s Independent Industrialists’ and Businessmen’s Association (MUSIAD). This invitation from the BRICS group, made up of Brazil, Russia, India, China and South Africa, is also an important development for Turkey, Abubekir Salim told Anadolu Agency. The seriousness with which member countries approach the BRICS annual summit is reflected in the way the member countries’ presidents and other leaders make it a requirement to honour, he stressed. He noted that this year Turkey was invited to the summit even though it was not a member of the union, signifying the intention for inclusion and co-operation by the BRICS bloc. TRT World’s Philip Owira reports from Johannesburg. “The meeting will also provide an opportunity for President Recep Tayyip Erdogan to discuss with Russia, China, India, Brazil and South Africa leaders not only economic matters but also all kinds of counterterrorism issues that are of concern to all these countries,” he stressed. Salim added that it was inevitable that a country such as Turkey that emphasises “The world is bigger than five” referring to the unrepresentative UN Security Council and has promoted the use of national currencies in international trade will strengthen relations with the BRICS countries. The 10th BRICS summit, hosted by South Africa in the financial capital Johannesburg, starts on Wednesday and lasts through to Friday. The summit will the second international meeting attended by President Erdogan since the start of his second term, following the NATO summit of July 11-12. BRICS thus clearly constitutes an important alternative to these institutions, especially for developing countries, he added. “It is within this context and within the scope of the 2025 vision that the BRICS bloc aims to create a new financial system whose members support each other more aggressively,” he said. The summit, where issues related to the global economy, trade, investment and financial co-operation will be discussed, and host several leaders and business representatives. 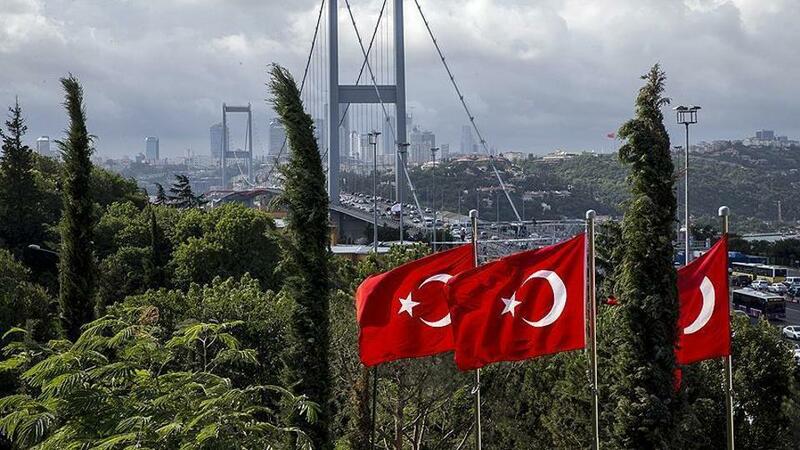 Mehmet Simsek, Turkey’s former deputy prime minister for the economy, has said that Turkey was looking at being a member of BRICS, which is establishing a new development bank, to benefit from it. Turkey’s trade with BRICS countries was $60.7 billion last year, $7.3 billion in exports and $53.4 billion in imports, according to Turkey’s statistical authority, TurkStat. BRICS countries’ share of the global economy is over 20 percent, and they have around 17 percent of international trade, according to the BRICS. BRICS countries manufacture one-third of industrial products and half of the agricultural products worldwide, a BRICS spokesman said. Their foreign trade with the rest of the world last year totalled $5.9 trillion, according to the International Trade Center data. The BRICS group was established in 2006 to enhance co-operation between member countries and also other developing countries.